1/365: Welcome to a New Year! 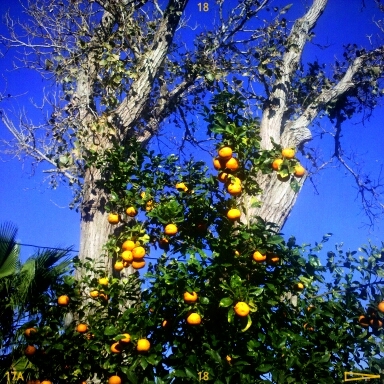 My next door neighbors have orange trees in their yard. It’s nice when they fall to the ground on my side of the fence: free juice! A note about the image: I will be using my cell phone until my new camera lens comes in next week. Even with the new lens, however, I will often use my camera as carrying around the D90 is what caused the need for a new lens (dropped the camera). Besides, one doesn’t need a fancy camera to take good pictures. It takes an eye . . . vision . . . and some patience. This entry was posted on January 1, 2011, 9:11 pm and is filed under 365. You can follow any responses to this entry through RSS 2.0. You can leave a response, or trackback from your own site.